The transformation of suburban landscapes through changes in land use is a phenomenon that we’ve all experienced. Whether it’s the construction of a new housing development, strip mall, or convention center, at some time everyone pays tribute to the notion that urban and suburban sprawl is constant and nearly unstoppable. What we typically experience, though, are incremental changes — small transformations that do not have a dramatic impact on our sense of place. When these incremental changes are summed over time, however, the impact can be startling. What is needed is a more historical perspective, one that transcends our limited concept of time, in order to observe and more appreciably recognize these changes. The following series of slides are temporal snapshots that illustrate the remarkable changes that have taken place around the area of Roosevelt University’s Schaumburg Campus. All but the last two are standardized to include the same geographic landmarks at the same scale. Slide 1 – This is the area of interest in July of 2010. 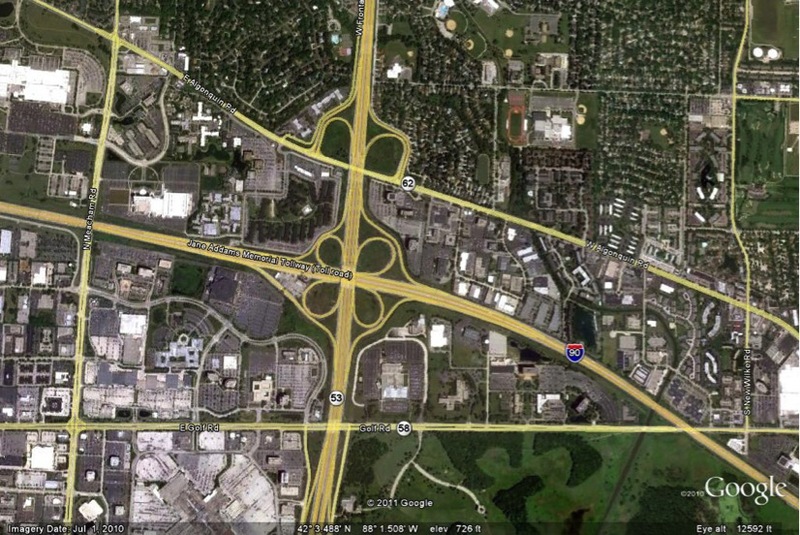 The cloverleaf in the center of the frame is the intersection of Interstate 90 and Rt. 53. Roosevelt University is below and to the left of that cloverleaf, with the circular plaza containing the large torch clearly visible. Clear landmarks that will be used to orient the region going back in time are Golf Road (Rt. 58), running across the bottom of the photo; Meacham Road, running along the left hand side; and Algonquin Road (Rt. 62), running diagonally from the lower part of the photo on the right side to the upper left corner. The intersections of Meacham with Golf and Algonquin should be the primary reference points. 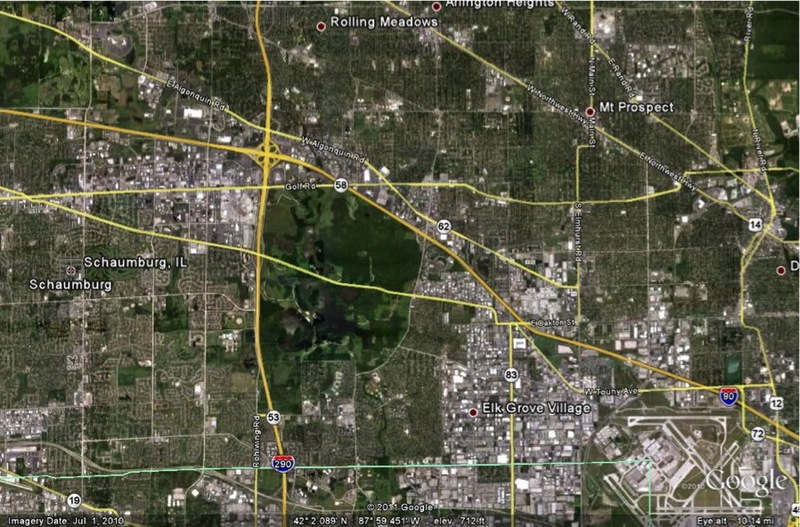 Also note Salt Creek, which can be seen on the right hand side of the photo running south into the northern extent of the Ned Brown (aka Busse Woods) Forest Preserve. Slide 2 – This is the same area, at the same scale, in the spring of 2002. 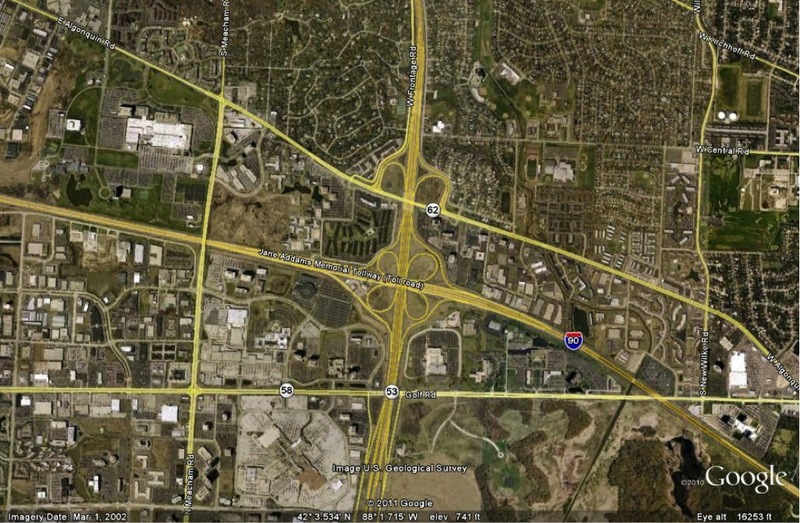 Not much has changed in that 8 years with the exception of the area just to the northeast of the intersection of Meacham Road and Interstate 90, where the Schaumburg Convention Center has not yet been built. 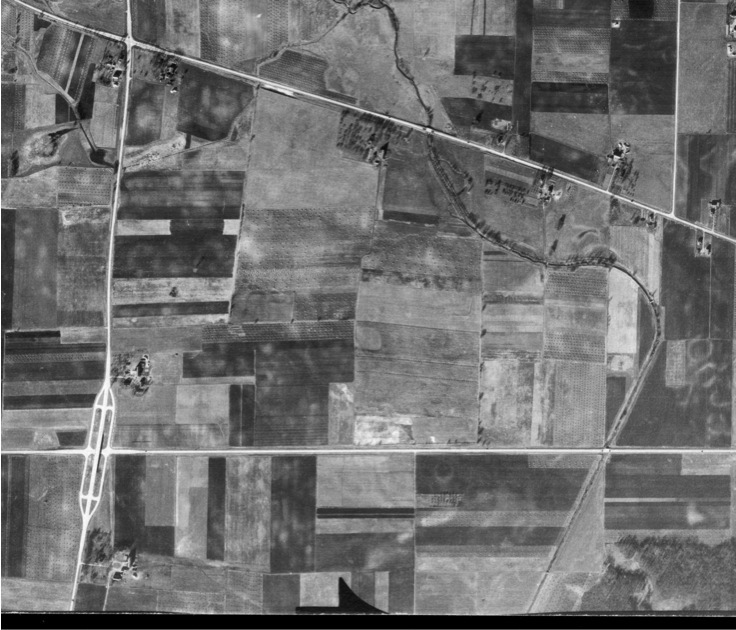 This image does more clearly show the drainage pattern of Salt Creek, with its more meandering northern section, rounded turn to the southwest between Algonquin Road and Interstate 90, and the straight channel from that point on. Slide 3 – We have now gone back 64 years to the late fall of 1938. With the exception of our reference points, little is recognizable. Golf, Meacham and Algonquin roads are in their recognizable positions, but Rt. 53 and Interstate 90 are absent, along with all of the commercial and residential development that is so pervasive in the beginning of the 21st century. 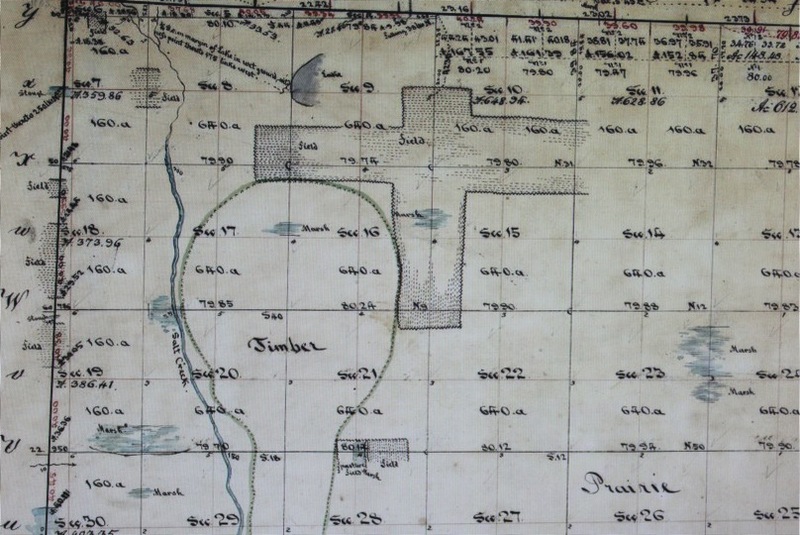 Land use at this time was exclusively agricultural, although the promise of things to come can be seen in the elaborate development of Meacham Rd. where it intersects Golf Road. One large farmhouse is situated just to the northeast of this intersection, where now a CostCo stands in its place. Two farmhouses are situated across from each other at the intersection of Meacham and Algonquin, where we now find a municipal facility on the east and the Motorola property on the west. In the fields can be seen rows of hay bales still waiting to be gathered. Salt Creek is the same as it would be in 2002, although the northern portion of the Ned Brown Forest Preserve is also dedicated agricultural land. Slide 4 – To go back any farther than this we need to rely on maps rather than aerial or satellite photos. This map shows the same area at the same scale as it was in 1861, 77 years earlier than the preceding image. Meacham Road is still present, albeit with a slight jog that would later be straightened. Golf Road is absent, although we can see that it would later be built along the property lines that run through the middle of Section 8. Homes, marked by dark squares, are recognizable in the same locations that they would be in 1938. One feature that is remarkable different is Salt Creek. A tributary enters the creek from the east in the lower right portion of the map, and the southern section of the creek is meandering, unlike the straightened condition that we would see in 1938. The straightening of channels, along with the usage of drainage tiles, was common in the late 19th and early 20th century in order to transform unusable wetland areas into well-drained and profitable agricultural land. 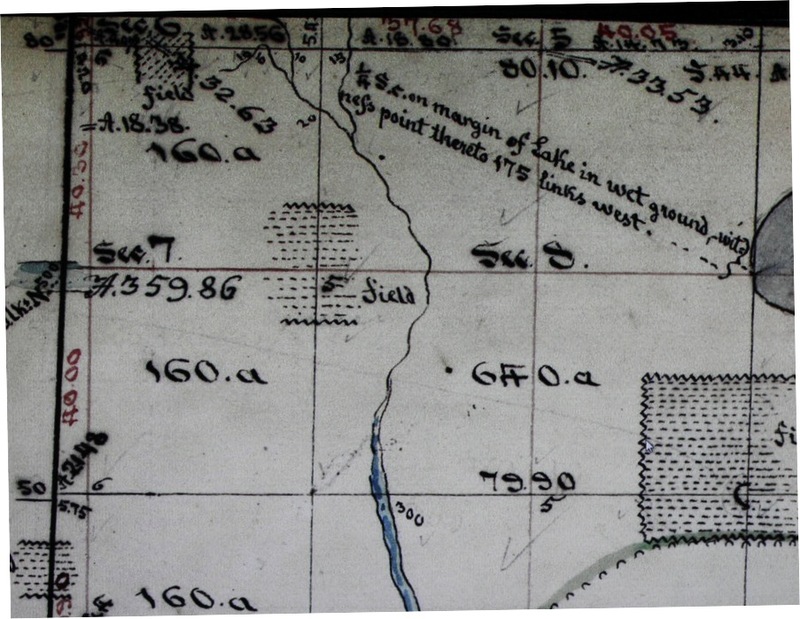 Slide 5 – The earliest recorded image of this area is from the surveys of the General Land Office in 1831, constructed from the notes of surveyors who would measure and observe the terrain along section lines. Features and their positions within a section were not directly noted by the surveyors, so that cartographers that would actually draw these maps, based only on surveyor notes from section boundaries, were left to extrapolate features such as the extent of lakes, fields and forests, as well as the paths of waterways. Such extrapolation can be seen here with the drawn course of Salt Creek. Note also that the tributary present in the 1861 map is missing – this is solely due this feature being present completely within the interior of section 8 and not intersecting the boundaries of that section. The surveyor, concerned only with features along the boundary, would not have made note of it and the cartographer would never know to include it. The notes do indicate the margin of a lake along the eastern margin of section 8. Other features that are indicated include agricultural fields, wetland areas, and the northern portion of Busse Woods (one day to be referred to as the Ned Brown Forest Preserve) in the lower right. The roads that would be built by 1861 are absent, although we can again see that these would be built along the surveyor lines marking section and half-section boundaries. 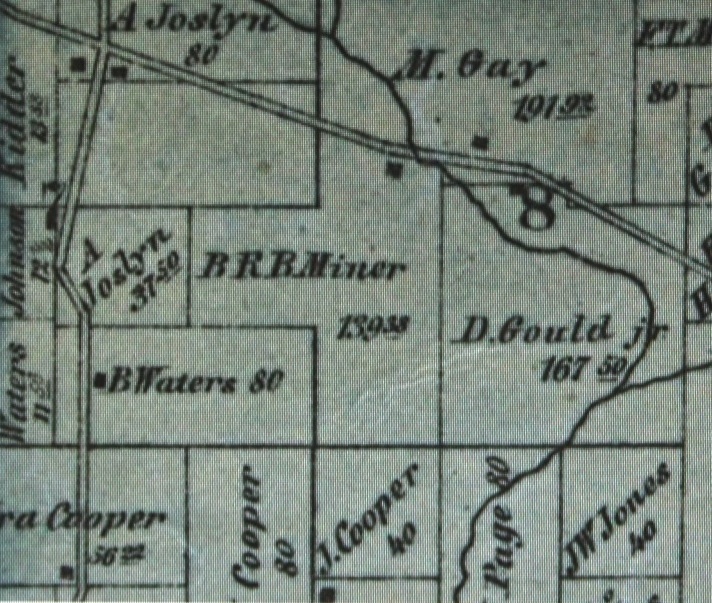 Slide 6 – This is the same 1831 map, but showing a much larger area. Here we can see the lake in the north that drains into Salt Creek, later to be completely drained through the use of drainage tiles and the straightening of the Salt Creek channel. The area marked “Timber” is what currently makes up the major portion of the Ned Brown Forest Preserve. Even in 1831 we can see that there was a great deal of agricultural use of the area, depicted by the “Fields”, although there was a great deal more wetland area than we have today. Finally, it is worth noting the extensive area to the southeast that is labeled as “Prairie”. Perhaps nothing more clearly represents the transformation of this area in the past 180 years than this section of the map, for what was once an expansive, undeveloped prairie is now…. Slide 7 – O’Hare Airport. Greg Buckley is a former Associate Professor of Natural Science and Sustainability Studies at Roosevelt University, and now is Associate Dean of Graduate Studies and Continuing Education at Lebanon Valley College. This photo essay was developed in May 2011.